In my personal opinion the Panasonic will be the best option of those four, and would be my recommendation unless you were going to go with a Pioneer Kuro display (add another $1k to the price for those). You won't be able to get the same quality of picture on the LCDs as you will on the Plasmas, and the Panasonic panels are much better than the LGs. thanx for the confirmation, that is the one i was leaning towards anyway. the sony being about 1k reduced for open box had me intrigued also. i have 4 big windows in my tv room, but heavy curtains cover them...thinking i could leave them open tho with LCD instead of plasma.. i think Im picking up the panosonic at lunch my onkyo should be here tommorow. Woot^ for the new setup! As far as plasmas go I have owned both LG's and Panasonics and at this point I can't tell the difference except the black level is just a hair better on the panasonic that I've had, but seriously I'm nitpicking here. That said, I regularly felt the LG was a better built piece of equipment just from mounting it and so on. For the money....you can't beat a Vizio. Vizios are fine, but you definitely get what you pay for. my 47" Vizio has a better picture than my friend's 40" Sony. Probably because he left it on factory default settings and didn't calibrate his picture at all. A lot of the TVs, even the high end stuff like the Pioneers, come with horrible default settings. 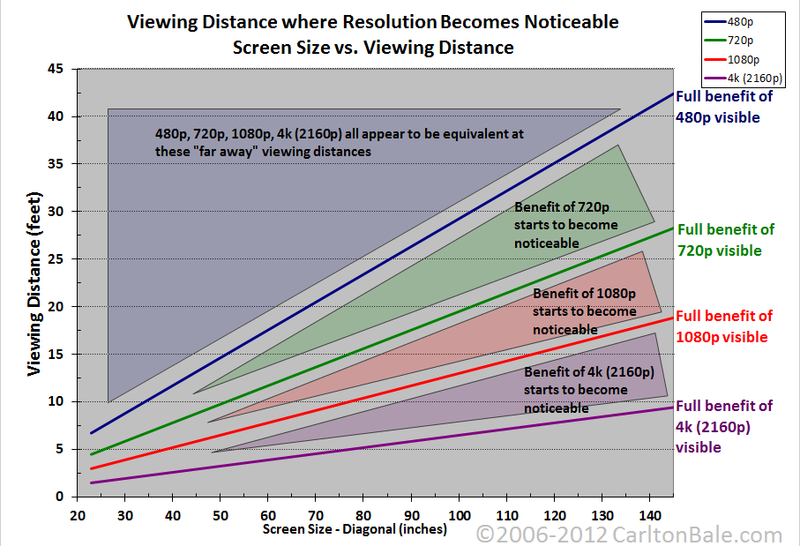 just something to consider, do you really need 1080p for the screen sizes and your viewing distance? You might be able to save a decent chunk of change if you go 720p/1080i. My memory is a bit fuzzy but I think I remember seeing somewhere that if your viewing distance is more than 1.5x the screen size then 1080p does not offer a benefit . Can anyone else comment? Of the ones you've listed, the Panny is the winner in most A/V circles. If you go Plasma, just don't forget to burn it in for 100 hours. I bought a 50 in Toshiba Regza in December, and it is absolutely amazing. I chose it over Panny, Sony and Samsung. Money was not the issue...it was just a superior TV. I think the price has come down to approximately your range. Check that out too, as it is the 1080p, 120mhz. ever think of dlp? if you don't plan on hanging it on the wall it might be something worth looking into as I do believe its cheaper than both LCD and Plasma. This tv was our first jump into hdtv and I think it looks better than a lot of plasmas and lcds I've seen. Our second hdtv was last years sony bravia 720p 40" lcd for the bedroom, which I'm also quite amazed with. Had to go lcd at that size, plasmas were hard to come by, but I think it was a good choice.